One incident, two verdicts. On his way to Frankfurt a man is controlled by police officers. His black skin soon becomes a matter of harassment and humiliation. The 25 year-old compares the demeaning treatment to methods used in the Third Reich by SS-paramilitaries. Now two courts have ruled that both is lawful: police controls without suspicion based on features like the color of skin as well as the young man’s comparison. 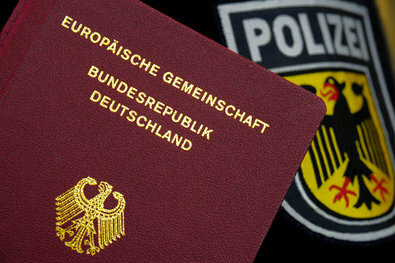 The case could give rise to a long-overdue debate about the practice of Racial Profiling in Germany. So far, the only decision that has proofed legally valid is the ruling which backs expressing memories of National Socialism. He asks for the reason behind the control but the officers make no reply to the question. Only much later, in court, one of the officers frankly admits that it was the color of skin. Outside, humiliation continues. Officers disrespectfully address the man with the word ‘du’, which in German is rather used in familiar relations but certainly is not appropriate in a conversation between public servants and citizens. During the procedure the student’s mobile phone gets broken. Officers of another police unit are sent for. At their arrival they find two bars of chocolate in his bag and ask the man, whether he had stolen them. Offensive words are dropped: ‘Shove it!’ Police officers snub bystanders who try to interfere, telling them they had no rights whatsoever. At some point of the heated verbal exchange the 25 year-old mentions that he feels reminded of ‘SS-methods’, hinting at the manners of Hitler’s so called Schutzstaffel, a major paramilitary organization of the Nazi regime and known for its many crimes against humanity. The SS-comparison was rated as libeling an official and the man was later charged by the district court in Kassel. But with a so called leap-frog appeal the student litigated another cause. Now the Higher Regional Court of Frankfurt has acquitted him. In the face of a control which he felt to be discriminating, the man was backed by freedom of speech when ‘criticizing the officers’ behavior with strongly defiant language’, the judges say. What is important here is that the man explicitly did not call the police men Nazis in person but simply denounced their practices. The defendant proofed that he could differentiate between objective criticism […] and personal defamation’, the verdict reads. The question whether police controls based on the color of skin are legal at all was not part of the trial. This cause was then tried at the administrative court in Koblenz where the responsible police authority is based – and at first instance the court proofed such controls without suspicion to be lawful. When fighting so called illegal immigration, officers were granted the right to ‘choose people according their outward appearance’, the judges decided. 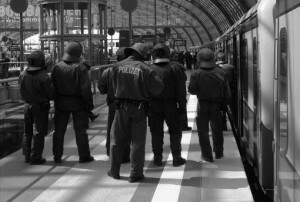 The court limited its verdict to train routes which in the eyes of police are regularly used for so called unauthorized entry into Germany. This is certainly not the case for the route between Kassel and Frankfurt which runs far from any boundaries with neighboring states. According to police data, not more than forty persons without legal documents are detected here per year. In criticizing the verdict the advocate denounces the so called Racial Profiling. The term describes the control of persons due to their color of skin or presumed origin and has sparked a heated debate in the US. Although Israel is the only European state to officially practice Racial Profiling, also known as Ethnic Profiling, human rights observers claim it was also daily routine among German police and authorities in other European countries. While the Koblenz verdict may have legally backed the long-since method in first instance, the Human Rights Committee of the United Nations in 2009 unambiguously ruled that it is a form of racist discrimination. Like here in Munich, flash mobs in remembrance of murdered Trayvon Martin raise awareness for the issue of Racial Profiling.